This is a great recipe to strengthen the resources of the body, specifically the blood and the energy. When the body’s blood supply and blood quality are strong, there is more energy and vitality. This is particularly a good soup to make as the weather becomes cooler and you are looking for an immune system boost. Wash and chop the nettles well. Sautee the nettles, shallots, and leeks in coconut oil until softened and reduced. Deglaze with wine. 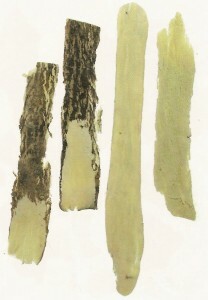 Add loose Astragalus sticks, which will be removed later. If using chopped Astragalus pieces, place them in a muslin cooking bag to easily remove this woody root later. Add garlic, broth, potatoes, dill, nutmeg, salt, pepper, and broth. Bring to a boil then reduce heat to low, cover and cook for 30-45 minutes. Remove the Astragalus. Puree in a blender. Serve hot and enjoy. Written by Lana at 6:45 pm and filed under Miscellaneous. Where do you source fresh nettles? Sounds delicious, and I too would love to know a good source for nettles.